Looking to upgrade your kitchen but not sure where to start? 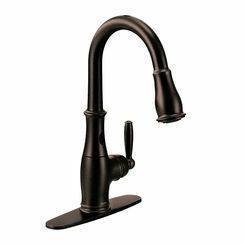 One of the best ways to improve the utility of your kitchen is by adding one of our discount bar faucets. 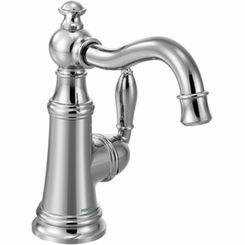 Also commonly referred to as prep faucets, they are convenient and helpful when you have too many cooks in the kitchen. 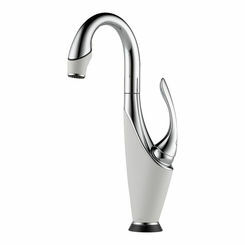 What Are Wet Bar Faucets? 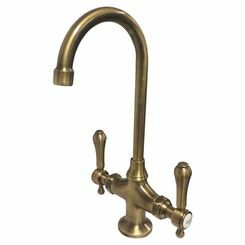 A wet bar faucet is typically a smaller version of your standard kitchen faucet most often paired with a prep/bar sink, rather than a large kitchen sink. 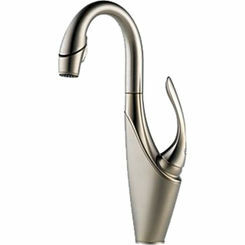 Bar faucets are available in a variety of finishes to match almost any style or kitchen decor. They come in both single and double handled variations. 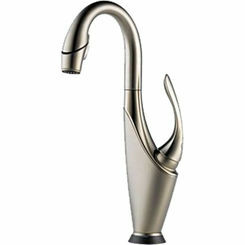 And of course, as the name suggests, a bar faucet is perfect if you like to entertain guests! 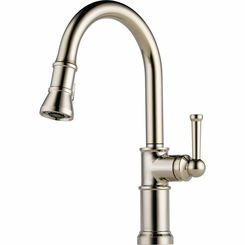 Use the filters on the left to refine the product results so that you can find the best prep or bar faucet. 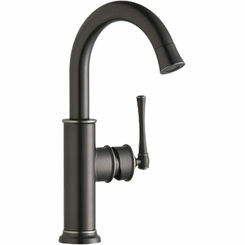 Also, we carry faucet replacement parts for convenient and affordable repair. 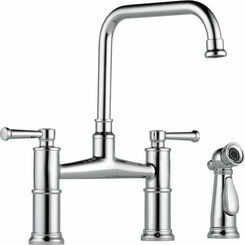 Why Buy a Bar Sink Faucet? 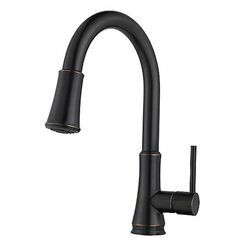 Aside from the obvious reasons, like the fact that an extra faucet is useful, there are a few ideas and features you can get that will transform your kitchen. Why wait for the kettle to boil for a cup of tea when you can have it in an instant? 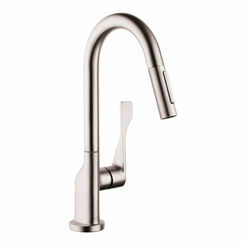 With a bar faucet attached to a hot water dispenser, you can get access to hot water in just a snap. 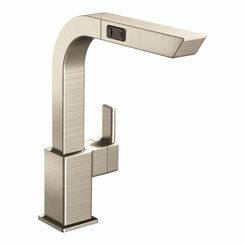 Bar faucets can connect to water filters and are ideal for cold water dispenser installation. You will enjoy this setup as it will give you a small, steady stream of cool, refreshing water that you can drink right away. 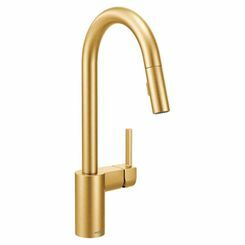 Installing a bar faucet is a great option especially if you often use your main faucet for daunting tasks like washing and soaking pots, pans, and baking sheets. 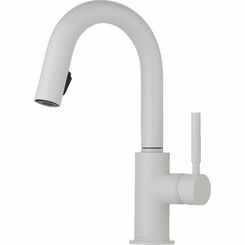 If the kitchen sink is occupied or in use, the bar sink will serve as a secondary faucet that is perfect for hand washing, beverage refilling, and washing and prepping veggies. That also helps keep your fresh ingredients from getting mixed up in any dirty dishes in your main sink. Install it in the living room. Conveniently locating your bar faucet and sink here is ideal for parties and making cocktails. Install it in a bedroom. Though it may not be the usual choice, it is common in hotels. With an in-room faucet, drinking water is easily accessible, so you don't need to wander far from your bed in the middle of the night for a glass of water. This setup will even encourage you to start your day with a healthy glass of water. Chrome - gives a bright, sparkling, and mirror-like appeal and is easy to maintain. Chrome finish is resistant to corrosion and oxidation and can withstand extremes of weather and temperature. Stainless Steel - easy-to-maintain, attractive, and clean looking. Stainless steel finish is highly resistant to heat, fire, and corrosion. Oil-Rubbed Bronze - gives an upgraded traditional look and is easy to clean. It is dark enough that fingerprints and water spots won't be visible. 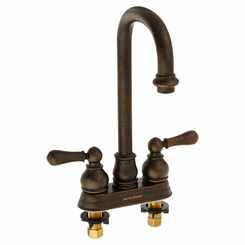 Oil-rubbed bronze finishes go great with vintage and Tuscan or Mediterranean kitchen styles. Brushed Nickel - offers a warm, brown tone and a soft metallic look to your faucet. It can disguise fingerprints, spots, or any blemishes and goes well with almost every style. Polished Nickel - a smooth, shiny finish that looks a little darker than chrome. The color might change depending on the lighting. Another factor to consider when buying a bar sink faucet is the material. Selecting the right material can help you avoid drips and leaks. 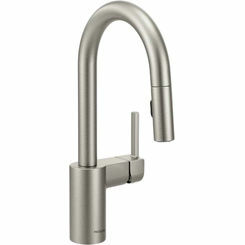 Stainless Steel - an easy-to-maintain material for faucets. Stainless steel sinks are immune to the acidic effects of food, and its surface is very resilient. Brass - this material is known to be corrosion-resistant and germicidal. 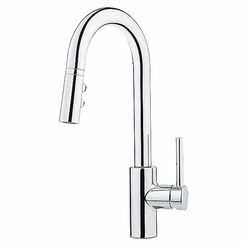 This is an ideal choice for a faucet material if you frequently run hard water because it will only have little to no effect on it. 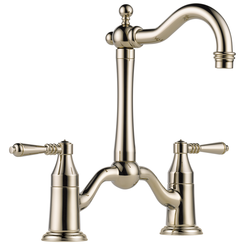 Faucets made of other materials are quicker than brass to corrode with hard water. Bronze - gives a classy look to your kitchen. 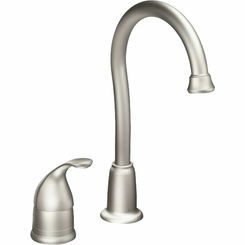 It has a long-lasting finishing, keeping your kitchen faucet looking new for a long time. You can also be confident that it won't rust too soon. 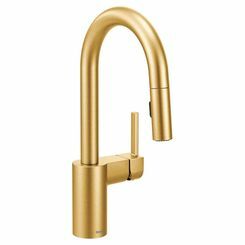 Solid Brass - aside from being known for its durability, this material is sought for its decorative use. It can be plated in any decorative finish. 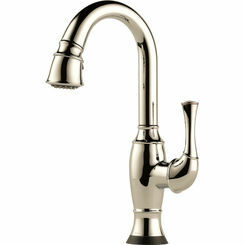 A prep faucet installation is pretty much like any other type of single-handle faucet installation. Here is a helpful video to show you the basic steps. Get your faucet supply lines here, too.